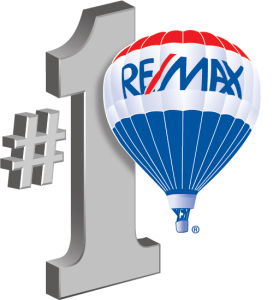 When you work with us in the Maryland real estate market, we do more than just show you homes and write up contracts. We work with many local lenders who offer terrific rates and offer a wide array of options to help you finance your home purchase and get the best value for your budget. The real estate mortgage business in Maryland, as have many industries has embraced technology. Before, you had to make a loan application, pay for credit reports, wait for several days to get a credit review. It was quite a time consuming process. Today, thanks to our experience and contacts we can refer you to experienced local lenders who will pre-qualify you FREE! There’s no charge to you, no credit report fees, no application fees. We don’t directly benefit by the mortgage referrals we make – we have no special relationships with any lenders, mortgage brokers, banks or any other loan origination entity. We absolutely DO NOT receive any financial benefit or payment from any of the lenders we refer to you. However, we do work with many home buyers and our experiences have helped determine a great many lenders that may suit your particular home financing needs. Thus, we can refer you to the lender that makes the most sense for your individual mortgage financing situation. FREE pre-qualification or pre-approval is always available to home buyers in Maryland who work with us. If you would like to discuss your mortgage financial needs, just give me a call anytime. I’m very experienced with buyers needs and with a bit of information about your needs and current financial situation, I can analyze your borrowing potential in just a few minutes. Once you determine what price range you can afford, you’ll be ready to look at homes. We’re ready and here to help!